Elliott Bay Brewery Harvest Festival Special Event! Step away from the crowd and into Elliott Bay Brewery for a special tasting event with Brewer Dan and Chef Kerry! From 12 to 2 p.m. on Sunday October 27th, they will be offering a trio of our 5 oz. Berliner Weisse tasters served with your choice of syrups locally grown and processed. Don’t miss your chance to taste, explore and ask lots of questions! They will have additional specials available and an ample candy station out front to appease the little ones. 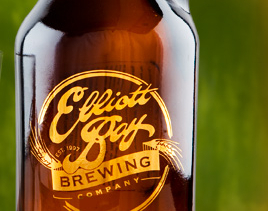 Elliott Bay Brewery is located at the heart of the West Seattle Junction at 4720 California Ave SW Seattle, WA 98116.